A pair of delightful tales from a new Regency author. I personally like the second one better because it’s a bit steamer, but they are both fun stories. “The Unusual Manners of Mr. Arrons” is a sweet romance and speaks more of the comedy of manners popular in Regency tales. I would expect nothing less of a tale began in church. This is a story about hats and birds. It’s comical and I like that neither the author nor her characters take themselves very seriously. There is a different kind of love here between a fashionista and an odd gentleman from out of town that isn’t familiar with societal ways. I didn’t connect with any character in particular, it was more like watching a humorous stage play. The second story, Virtue’s Temptation is about a selfish, flighty young woman named Bitsy who you just want to smack. Eleanor, an older and wiser woman, tries to step in to help, but Bitsy may not head her warnings. 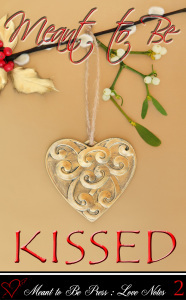 When an acquaintance of Bitsy’s comes in to aid them, Eleanor questions her own heart. Is it as broke as she thought, or will she find love again? The male lead in this story is yummy and worth ruining a few reputations for. For you Pride and Prejudice lovers out there, this tale reminds me of Lydia. What would have happened had a wiser female observed her running off with Wickham? Are girls like Lydia and Bitsy destined to be ruined, or can they head the warnings long enough to save themselves and their families heartache? I would like to see a sequel to this. What exactly happens after they go to Mr. Stinson’s large estate? I love this idea of giving an interview of the different Mr. Darcys in JAFF! End of Year Update, What is coming in 2019? Northanger Lodge: I am working hard on the modern rewrite of Jane Austen’s Northanger Abbey. I have my “holes” list and I’ll be filling them in soon. Is complete! I am shopping it now. Get this special for only one week. November 20-25th: For five days only Ruined Reputations by Lela Bay will be on sale for $0.99! November 22-28th: For five days only Lord Harrington’s Lost Doe by Emmy Z. Madrigal will be on sale for $0.99!